RationalFX, a foreign exchange United Kingdom-based firm, has recently started a partnership with Ripple, the creator of the XRP token and of cross-currency transfer initiatives like xRapid. According to the announcement of the company, it will be able to make cross-border transactions with over 200 locations using the help of RippleNet. "RationalFX exchange started a partnership with Ripple"
This is an important partnership for RationalFX, but also for Ripple. RationalFX has traded over $10 billion USD in transactions last year alone. Because of this, the partnership will make the operations of one company easier, faster and cheaper while the other will be beneficiated by the huge adoption since RationalFX trades over 50 currencies for over 180,000 people. 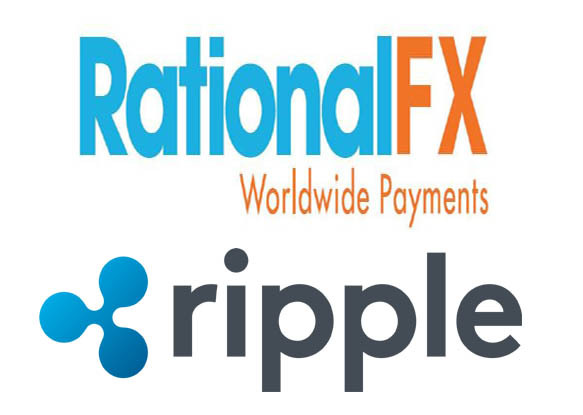 On its official announcement, RationalFX has affirmed that Ripple offers a great service that helps to cut the costs of the operations and make them more secure. News of Ripple finding new partnerships just keeps showing up. The company is having a great time right now as several companies are starting to get interested in the services that they have to offer. The main goal of the company is to be larger than traditional companies like SWIFT and to outperform is competition, which does not seem to be an impossible task when the company is having such a great acceptance in the market. More and more banks are interested in using the RippleNet and institutions are getting to know xRapid, xCurrent and xVia, the most popular Ripple-based tools. According to new research made by SharesPost, Ripple is one of the companies which more change for huge growth in the near future. Some notable banks like the Banco Santander, the National Bank of Kuwait and the Saudi Central Bank are already using Ripple and XRP. The question now is not whether Ripple will be successful in its enterprise but how successful can the company be in the near future.